Bookz is a NYC-based grime and dubstep producer. 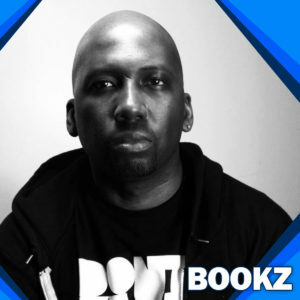 Originally from Virginia, Bookz started his music career in Richmond’s punk rock scene. In 2005 he co-founded grime and dubstep label First City Records with U.K. producer Nato. His tunes have had support from Newham Generals’ DJ Tubby and BBC Radio 1′s Tim Westwood among others. Bookz currently splits the majority of his time working with First City Records as well as contributing to the DontsleepNYC blog.